I am not a huge lover of coffee, but I do enjoy mocha flavoured treats. 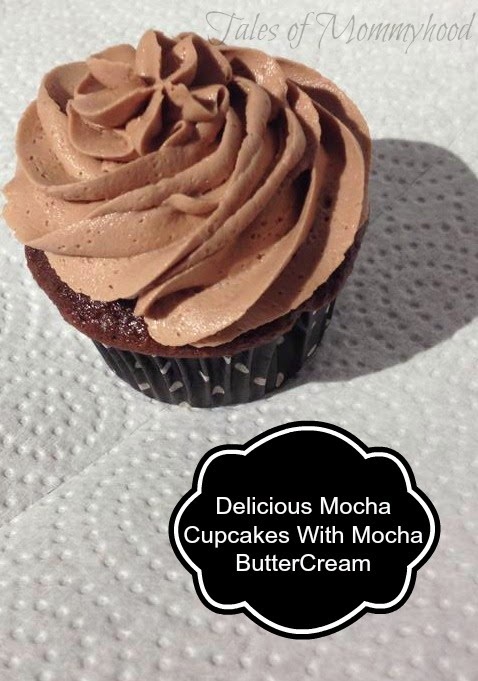 I had a major chocolate cupcake craving a few weeks ago, and decided to make some mocha cupcakes. Using your stand mixer, whip the butter. Add in the cooled chocolate and room temperature espresso. Once combined, add in milk and slowly add in icing sugar 1 cup at a time, mixing as you go. Fill a decorators bag with the frosting and decorate as you like. I use the 1M tip, and made some with roses on top, and others swirled. This looks amazing! Will definitely try it out! thanks - hope you enjoy it! Yumm, these look and sound so good, think I'll make these ones the next time I want cupcakes!! Someone has a birthday coming up, these would make a great surprise! These look delicious most definitely! This looks so good! I Love Mocha desert!